Front Row marks the deaths of three great choreographers with distinguished dance critic Alastair Macaulay, and hears from the new generation on how they see dance developing. Today, Front Row focusses on dance. 2018 saw the deaths of three great choreographers: Dame Gillian Lynne, famous for her work on Cats, and Phantom of the Opera; Arthur Miller, founder of Dance Theatre of Harlem; and the much celebrated Paul Taylor, regarded as one of America's greatest modern choreographers. Alastair Macaulay has been the Chief Dance Critic of the New York Times since 2007. He began watching dance professionally in the late 1970s and went on to become Chief Theatre Critic for the Financial Times and Chief Dance Critic for the Times Literary Supplement. At the end of December, Macaulay retires from the New York Times. He assesses the signficance of Dame Gillian Lynne, Arthur Mitchell, and Paul Taylor and the changes he’s witnessed in the dance world. To discuss the future of dance in the UK, Front Row is joined by Kate Prince, Artistic Director of ZooNation, and fresh from presenting Sylvia - a new musical about the second Pankhurst daughter; Aakash Odedra, who was trained in Indian classical dance, mentored by Akram Khan, and now leads his own eponymous company in Leicester; Tom Dale who as a student at Trinity Laban won the award for Outstanding Achievement in Choreography, today his Nottingham-based company fuses contemporary dance with digital technology; and Laura Jones, Interim Co-Artistic Director of Stopgap Dance Company, the first company in the UK to integrate dancers with a learning disability, a physical disability and non-disabled dancers. The Tom Dale Company is touring Step Sonic in autumn 2019. 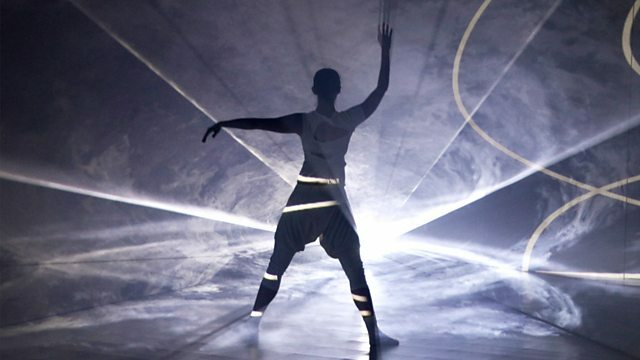 The Aakash Odedra Company is performing Echoes and I Imagine in Birmingham on 31 January and in Ormskirk on 05 February 2019.